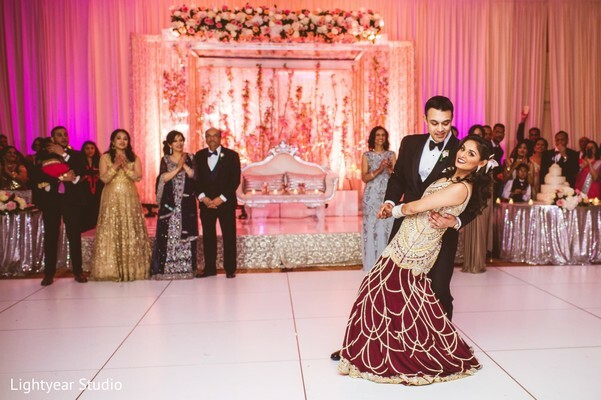 Lightyear Studio guides us through Jayna and Kunal's regal reception at the luxurious Bridgewater Marriott in New Jersey! 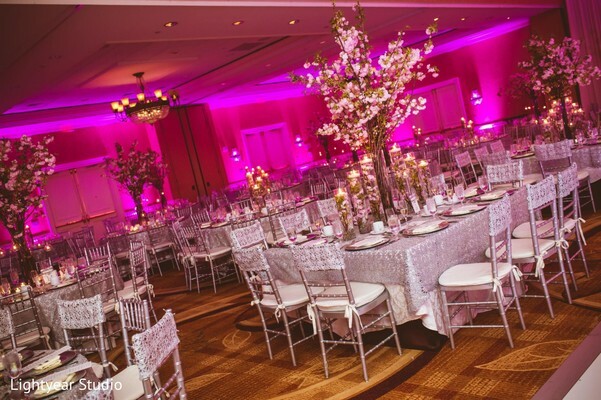 Elegant Affairs Inc. transforms the elegant ballroom into a pretty in pink heavenly wonder! 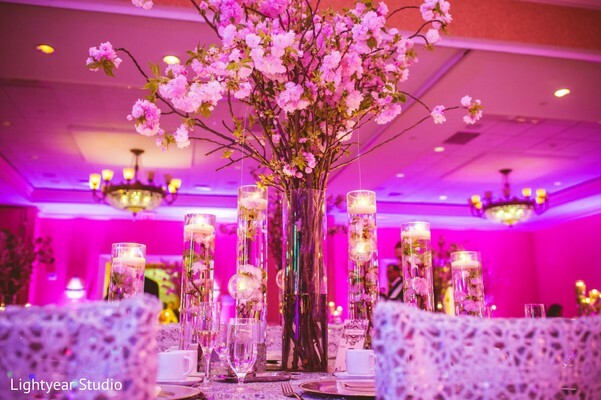 Extravagant floral centerpieces adorn every table, creating a whimsical touch! 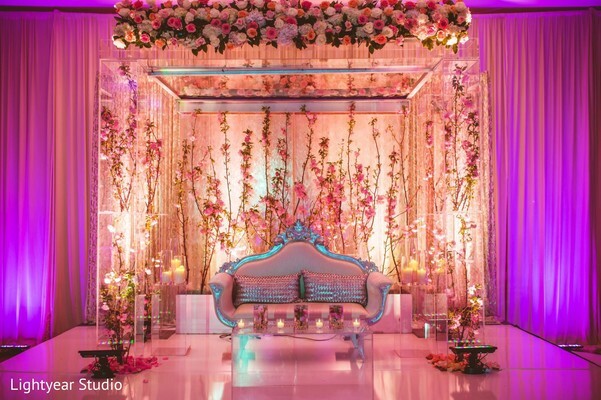 The sweetheart stage looks sensational, truly fit for a king and queen! 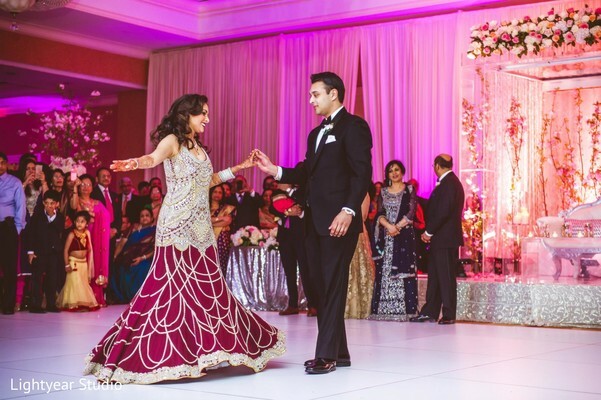 Our Maharani shows up in a modern, custom-made Naveda Couture gown! 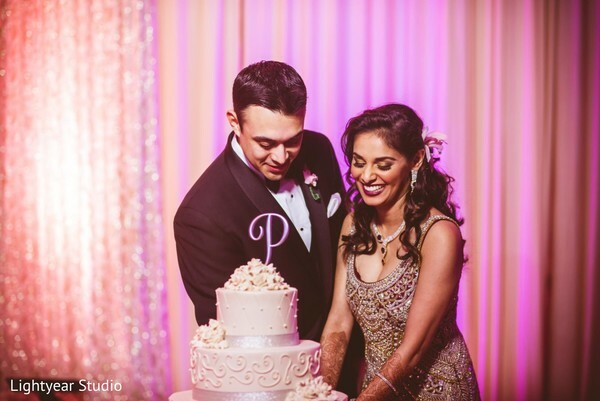 KC Makeup by Karuna Chani gives Jayna's hair soft curls and bold makeup. I love the combination of the gold shimmering eye shadows with the deep burgundy lip color! She looks lovely! Her handsome new hubby is holding his own in a classic black tuxedo! The memorable night was filled with great music and mouthwatering Indian cuisine—thanks to the wildly popular Moghul Caterers! What an awe-inspiring event , thanks to Evenings of Elegance! See it all from the beginning in the gallery! "We had our first dance to "Young and Beautifu"l by Lana sep Ray. We actually took Waltz lessons. And we chose it just because we both liked the song." Hope you enjoyed every detail as much as I did! 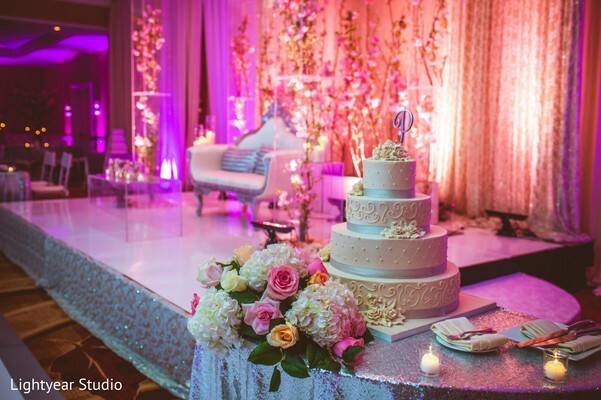 Elegant Affairs Inc., Bridal Henna Artist, Bridgewater Marriott, LAX States, Naveda Couture and Moghul Caterers are members of the Platinum Guide. Love what you see? Explore their portfolios.